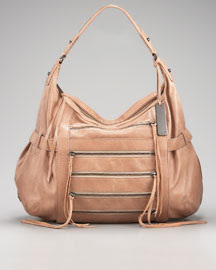 Botkier makes the yummiest softest handbags...the Italian lambskin feels like butta! And Monica Botkier continues to impress with her innovative designs. I'm happy to report that I am the proud owner of 4 Botkier bags, so naturally I'm loving this Venice Hobo in Naked Lambskin!